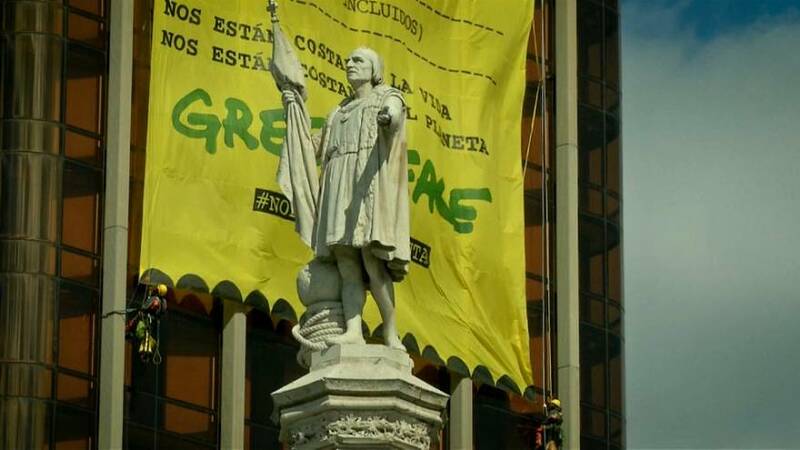 The members of Greenpeace deployed a large protest banner on a building in Madrid ahead of Spain's general election at the end of April. Four climbers reached the top of the 60-metre high Torres de Colón to display the 300-square-metre banner. Spain holds general elections on April 28 and Greenpeace calls on the country's main political parties to act to stop climate change.